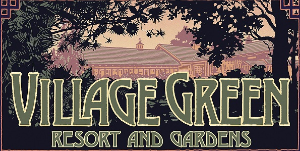 On Behalf of The Village Green: We would like to invite you for an overnight stay for two, romantic dinner for two, bottle of house wine and breakfast for two. Can be applied toward an overnight stay any night of the week, based on availability, excluding holidays and special events. Dinner includes your choice of two entrees off our menu and does not include gratuity. This offer cannot be combined with other offers or discounts. This certificate has no cash value. Please call our Front Desk at 541.942.2491 and refer to reference code:​ 149336 when making your reservation. Must present this certificate at time of use.